Carthage is intended to be the simplest way to add frameworks to your Cocoa application. Carthage builds your dependencies and provides you with binary frameworks, but you retain full control over your project structure and setup. Carthage does not automatically modify your project files or your build settings. You can install Carthage by downloading and running Carthage.pkg from the Carthage project releases page. 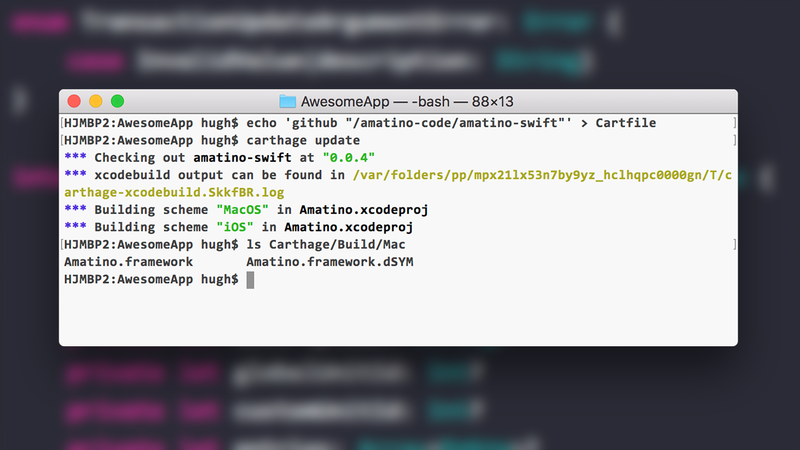 Once the process is complete, you should have Amatino.framework binaries available in the Carthage/Build/Mac and Carthage/Build/iOS directories. The following instructions are applicable to MacOS applications. Instructions for iOS are broadly similar, and all instructions are available in detailed form in the Carthage project documentation. 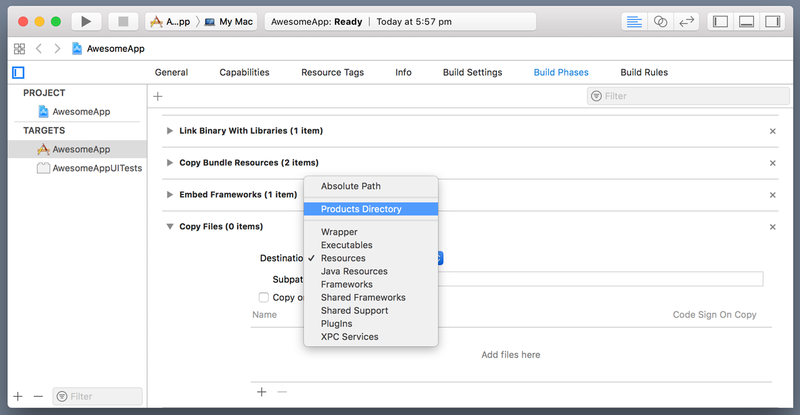 Drag the binaries for your target platforms to the Embedded Binaries section of your Xcode project. Inside the phase, select Products Directory from the Destination drop down menu. Finally, drag the Amatino.framework.dSYMfile into the Add files here section. For more detailed instructions, check out the Carthage project documentation. 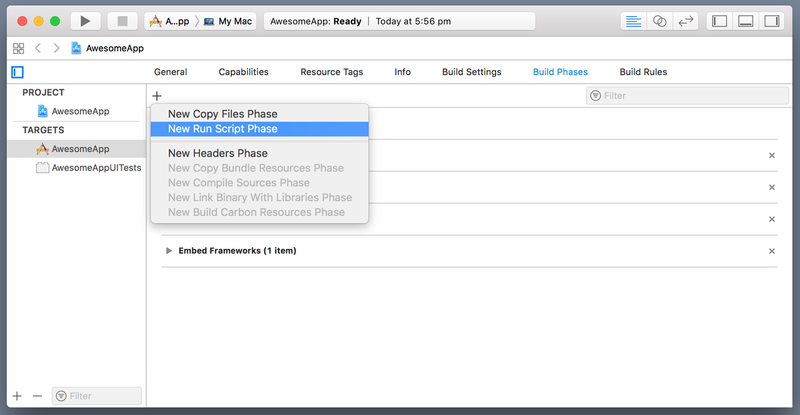 Now that Amatino Swift is easier to install, it’s time to smash together more functionality. In particular, I’d like to get Ledgers working as soon as possible. Have a preferred method of installing Swift Frameworks? Please tell me about it on Twitter, on the forums, or via email. I would love to hear from you, and develop Amatino Swift in such a way as to make it easy for you to install.